Kris will always be in need of high dosage antihistamines with this disease. 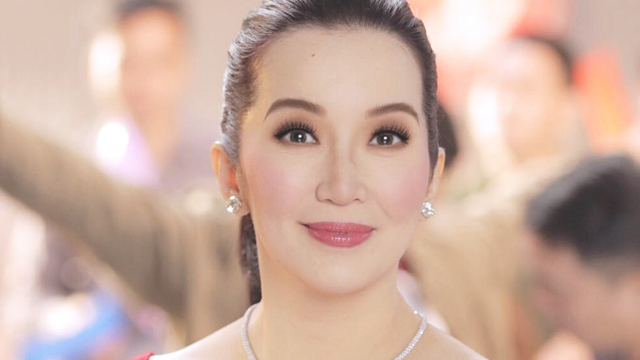 Kris Aquino, who has never been afraid to talk about her personal life, has opened up about her recent health battle. The Queen of all Media revealed on October 11, 2018, that she has been diagnosed with an autoimmune disease. "To be specific, I now know I have chronic spontaneous urticaria, and yes, mine is an autoimmune disease," she wrote on Instagram. "I am now, and for the rest of my existence will be, on high dosage antihistamines and having the EpiPen will always be crucial. Severe allergies are life-threatening because of anaphylactic shock." Chronic spontaneous urticaria is a distressing skin condition that causes red, swollen, itchy and sometimes painful hives on the skin, which can persist for at least six weeks or more. A strong association has been found "between chronic urticaria and additional autoimmune diseases, such as thyroid disease, rheumatoid arthritis, systemic lupus erythematosus, Sjögren's syndrome, celiac disease and type 1 diabetes, among others." Last month, the host-actress flew to Singapore to undergo comprehensive medical tests that were not currently available in the country. "Her recent weight loss prompted her to proactively have some tests done," read the press statement from Kris' legal counsel, Atty. Sigfrid Fortun. Kris, who has been trying to move on after she discovered that someone she trusted committed financial deception, has been taking medication for severe allergies, hypertension, and migraines. Her unexplained weight loss worried her the most because it was one of the symptoms that her mom, the late former president Cory Aquino, experienced before she was diagnosed with cancer. Intially, her doctors thought it was lupus, a condition where a person has a hyperactive immune system that attacks even healthy tissues. She didn't want to worry her sons, but she couldn't hide what she was going through. "Kuya [Josh Aquino, Kris's older son] was anxious and confused," she said. "It was heartbreaking to see my 11-year-old crying inconsolable tears and pleading, 'Please don’t leave me, Mama,'" Kris recounted, adding that son Bimb Aquino Yap even offered to give her a kidney. 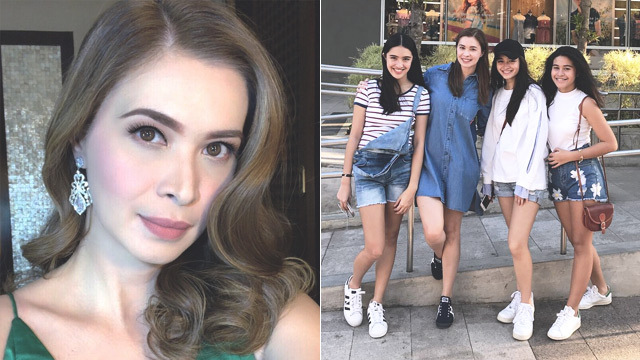 Kris, always upfront especially with Bimb, shared that she and Bimb "read through several medical terms I Googled so he’d understand what may lie ahead," she said on Instagram. "I don’t dare ask you to pray for me. I now completely surrender to God’s merciful care. Pero kakapalan ko po ang mukha ko at makikiusap: Please pray for my two sons, Josh and Bimb," Kris wrote. "Kahit sinong magulang maiintindihan po ako, gagawin natin ang lahat wag lang masaktan, ma-agrabyado, o mahirapan ang mga pinakamamahal nating mga anak. Isasakripisyo natin ang lahat masiguradong okay sila. That’s what happens when you become a parent, you wholeheartedly surrender being number one," she said. "I just want to be healthy enough for the two boys I love most. They still need me to be strong enough for the three of us," she wrote. "I am proof, love makes us strong. Because we know why we are fighting. For me, it’s for my health because two people I love more than life itself still need me for at least 10 more years," she said. Kris is also looking ahead way into the future. 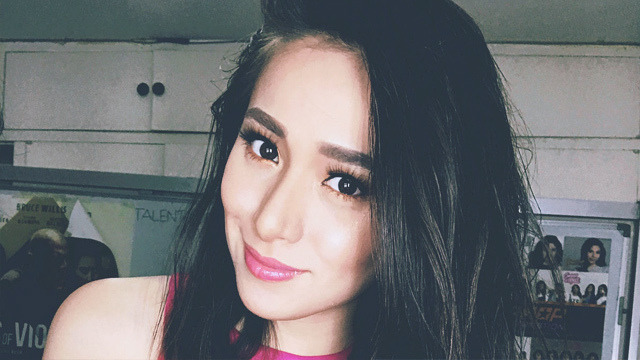 "My prayer is simple: to raise my youngest son to become a responsible adult who’ll care for his kuya, then God already blessed me more than I deserve," Kris wrote, thanking everybody for supporting and praying for her. "Being brave is part of my DNA," she stressed.